Since October 2010 I'm working for Microsoft's search engine Bing where I'm currently a Principal Scientist Manager. I'm interested in all kinds of user measurement problems. How can one infer what a user is really looking for given just a query and some interaction data? From September 2006 until September 2010 I was researching at DFKI and the University of Kaiserslautern in Germany. In June 2010 I sucessfully defended my PhD thesis advised by Andreas Dengel where I focused on the intersection of eye tracking and personalized information retrieval. The aim was to use attention data of the user to improve the quality of the retrieval process, especially concerning desktop and web search. Attention data was obtained by user observation techniques such as state-of-the-art eye tracking. During the summer of 2008 I did an internship at Microsoft Research (Adaptive Systems and Interaction group), Redmond, USA, working together with Ed Cutrell and Merrie Morris. During the summer of 2009 I did an internship at Microsoft Research again, working together with Susan Dumais and Ed Cutrell. 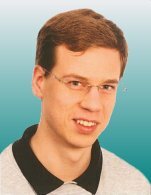 During my undergrads I studied computer science at the University of Würzburg, Germany. My studies were focused on artificial intelligence, knowledge-based systems, bioinformatics, genetics, database systems, and robotics. Before and during my time in Würzburg I have done some research in the area of medical consultation systems. Explicit Feedback in Local Search Tasks. A Ground Truth Inference Model for Ordinal Crowd-Sourced Labels Using Hard Assignment Expectation Maximization. LabelBoost: An Ensemble Model for Ground Truth Inference Using Boosted Trees. Leaving So Soon? Understanding and Predicting Web Search Abandonment Rationales. Improving Searcher Models Using Mouse Cursor Activity. In SIGIR '12: Proceedings of the 35th annual international ACM SIGIR conference on research and development in information retrieval. Portland, USA. Text Selections as Implicit Relevance Feedback. Large-Scale Analysis of Individual and Task Differences in Search Result Page Examination Strategies. In WSDM 2012: Proceedings of the Fifth International Conference on Web Search and Data Mining. Seattle, USA. User See, User Point: Gaze and Cursor Alignment in Web Search. In CHI '12: Proceedings of the 2012 international conference on Human Factors in Computing Systems. Characterizing Local Interests and Local Knowledge. A Robust Realtime Reading-Skimming Classifier. Reading and Estimating Gaze on Smart Phones. Towards Robust Gaze-Based Objective Quality Measures For Text. Attention-based information retrieval - using eye tracking to capture attention evidence and personalize search. The Good, the Bad, and the Random: An Eye-Tracking Study of Ad Quality in Web Search. In SIGIR '10: Proceedings of the 33rd annual international ACM SIGIR conference on research and development in information retrieval. Geneva, Switzerland. Individual Differences in Gaze Patterns for Web Search. In IIiX '10: Proceedings of the third symposium on information interaction in context. The EyeBook - Using Eye Tracking to Enhance the Reading Experience. The Text 2.0 Framework - Writing Web-Based Gaze-Controlled Realtime Applications Quickly and Easily. What Do You See When You're Surfing? Using Eye Tracking to Predict Salient Regions of Web Pages. In CHI '09: Proceedings of the 27th international conference on Human factors in computing systems. Boston, USA. Segment-Level Display Time as Implicit Feedback: A Comparison to Eye Tracking. In SIGIR '09: Proceedings of the 32nd annual international ACM SIGIR conference on Research and development in information retrieval. Boston, USA. Gaze-Based Filtering of Relevant Document Segments. Workshop WSSP held in conjunction with WWW '09. Madrid, Spain. Query Expansion Using Gaze-Based Feedback on the Subdocument Level. In SIGIR '08: Proceedings of the 31st annual international ACM SIGIR conference on Research and development in information retrieval. Singapore. Eye Movements as Implicit Relevance Feedback. In CHI '08 extended abstracts on Human factors in computing systems. Florence, Italy. Generating and Using Gaze-Based Document Annotations. Nakano Award for the best paper. Contextualized knowledge acquisition in a semantic wiki: The Mymory workbench. Mymory: Enhancing a Semantic Wiki with Context Annotations. Using Attention and Context Information for Annotations in a Semantic Wiki. In SemWiki2008: Proceedings of the 3rd Semantic Wiki Workshop held in conjunction with ESWC 2008. Application and Evaluation of a Medical Knowledge-System in Sonography (SONOCONSULT). Abstract in SIGIR '07: Proceedings of the 30th annual international ACM SIGIR conference on research and development in information retrieval (doctoral consortium). Amsterdam, The Netherlands. Best paper award of the doctoral consortium. Checking Concordance between Findings and Diagnoses in Sonographic Reports by a Knowledge-Based Documentation System. In Ultraschall in der Medizin / European Journal of Ultrasound. Semi-Distributed Development of Agent-Based Consultation Systems. Poster at the 15th International Conference on Knowledge Engineering and Knowledge Management (EKAW 2006). In K-CAP '05: Proceedings of the 3rd international conference on Knowledge capture. Banff, Canada. Clinical Experiences with a Knowledge-Based System in Sonography (SonoConsult). In Proceedings 3rd Conference Professional Knowledge Management - Experiences and Visions, Workshop on Current Aspects of Knowledge Management in Medicine (KMM05). Extended version of KMM05 paper. A Diagnostic Expert System for Structured Reports, Quality Assessment, and Training of Residents in Sonography. Bernard J. Jansen, Amanda Spink, Isak Taksa: Handbook of research on web log analysis. Book review in journal Information Retrieval. Proc. of the SIGIR'09 Workshop on Understanding the User -- Logging and Interpreting User Interactions in Information Search and Retrieval (UIIR-2009). Reviewer for conference CHI '14 (Human Factors in Computing Systems). Reviewer for conference CHI '13 (Human Factors in Computing Systems). PC member of conference WWW '13 (World Wide Web) (behavioral analysis and personalization track). Reviewer for journal TIST, ACM Transactions on Intelligent Systems and Technology (2012). Reviewer for journal Information Processing & Management (2012). PC member of conference WWW '12 (World Wide Web) (behavioral analysis and personalization track). Reviewer for conference CHI '12 (Human Factors in Computing Systems). Reviewer for conference CSCW '12 (Computer Supported Cooperative Work). Reviewer for journal TiiS, ACM Transactions on Interactive Intelligent Systems (2011). PC member of conference WWW '11 (World Wide Web) (behavioral analysis and personalization track). Reviewer for conference CHI '11 (Human Factors in Computing Systems). PC member of conference SIGIR '10 (Special Interest Group on Information Retrieval). Reviewer for conference CHI '10 (Human Factors in Computing Systems). Reviewer for journal UMUAI, User Modeling and User-Adapted Interaction (2010). Co-chair of SIGIR '09 workshop on Understanding the User. Reviewer for conference CHI '09 (Human Factors in Computing Systems). Reviewer for journal TOCHI, ACM Transactions on Computer-Human Interaction (2009). Emotionen beim Lesen von Texten erfasst, Article in iX, Magazin für Professionelle Informationstechnik, Dec 28, 2010. 6 Ways Eye Tracking Is Changing the Web, Smart Words Watch Your Eyes As You Read, News article in Read Write Web, Aug 09, 2010. Future of eReading: Following your eyes?, News article in eSchoolNews, June 17, 2010. Eye-Tracking Interfaces Look for Killer App, News article in the Communications of the ACM, May 24, 2010. Forschung: Wissenschaftler arbeiten an Text 2.0 (Research: Scientists work on Text 2.0), Chip online article, May 16, 2010. Text 2.0: Eye-Tracking Tablets See Where You're Looking, The Huffington Post online article, April 1, 2010. Eye Tracking Technology May Revolutionize The Written Word, PSFK.com online article, March 30, 2010. Text 2.0, CeBIT WEBciety online article, March 26, 2010. "Text 2.0" eye-tracking reading companion: crazy or crazy awesome?, CrunchGear online article, March 25, 2010. Eye-Tracking Tablets and the Promise of Text 2.0, WIRED online article, March 25, 2010. Does This Headline Know You’re Reading It?, h+ online article, March 19, 2010. Das intelligente Buch (The intelligent book), online article and TV broadcast on channel ARD, March 3, 2010. Wenn das Auge die Seite umblättert (If the eye turns the page), TV broadcast on channel ZDF, March 2, 2010. Der Computer, der Gedanken liest (The computer that reads you mind), in newspaper Die Welt, October 24, 2009. Wenn der Text weiß, dass er gelesen wird (If the text knows that it is being read), in online newspaper Wissenschaft aktuell, October 15, 2009. Eye, Pad Video, posted May 2010. Text 2.0 Video, posted Oct 2009.